CYCLONE VARDAH AFTERMATH A MONTH LATER ! HOW YOU CAN MAKE A DIFFERENCE! On 12 December 2016 Cyclone Vardah, with torrential rains and winds of up to 192 kmph, left a trail of destruction in the coastal areas of Chennai and north coastal district Tiruvallur in Tamilnadu. It affected millions people, seriously disrupted communications, levelled hundreds of homes, uprooted thousands of trees, destroyed paddy crops and swept away boats and fishing nets before weakening to a deep depression. 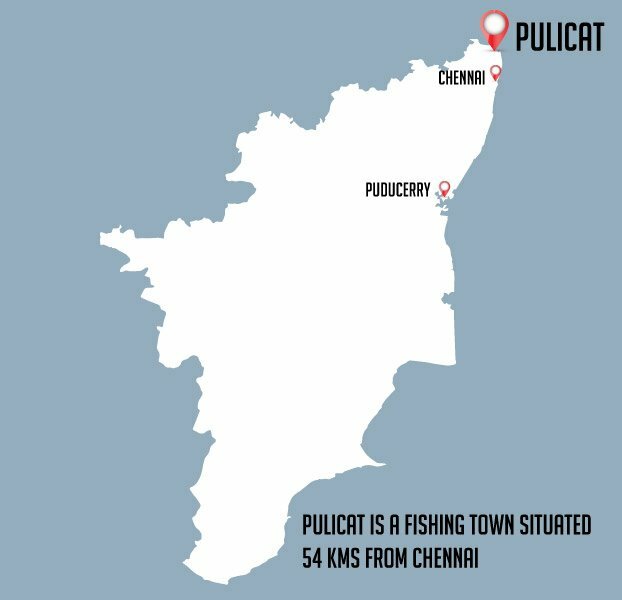 The funds raised here will go towards restoring the livelihood of 150 fishermen in Pulicat. 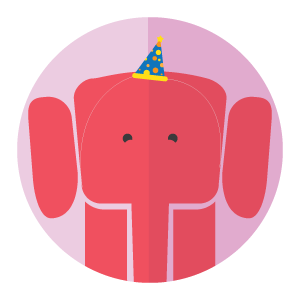 Through this campaign we are looking to raise INR 1.67L. Each Fishing aid kit consists of fishing nets and storage containers. Total funds to be raised is INR 1.5 L + Crowdfunding charges 17000/- = 1.67 L INR to help 150 fishermen families. NOTE : We had started this crowdfunding campaign with the objective of distributing food packets etc ( scroll down to read the original campaign) but have modified it midway as the needs at the ground level have changed . The fisherman have been very adversely affected & we felt it best that we raise money to help them out . 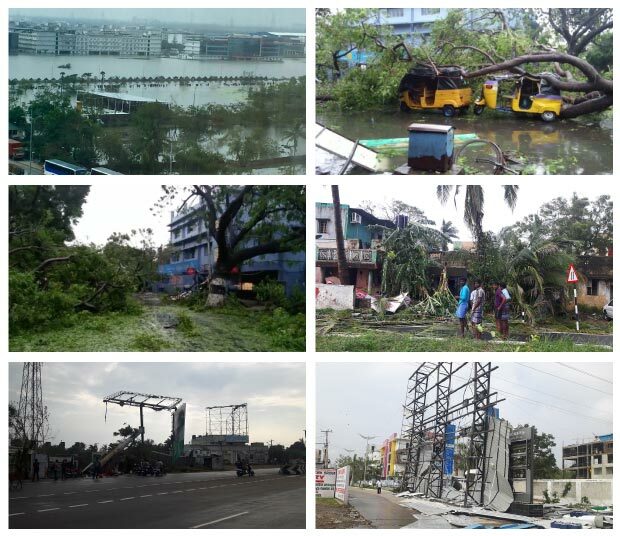 On 12 December 2016 Cyclone Vardah, with torrential rains and winds of up to 192 kmph, left a trail of destruction in the coastal areas of Chennai and north coastal district Tiruvallur in Tamilnadu. As of the morning of 13th December, the death toll has already risen to 10 and thousands more are stranded and waiting to be rescued. Rapid Response volunteers are on their way to rescue people from these areas and bring them to safer zones. Providing food, shelter, medicines is also what we are working on giving them simultaneously. Image: The devastating aftermath of the VARDAH CYCLONE in the city of Chennai and surrounding areas. 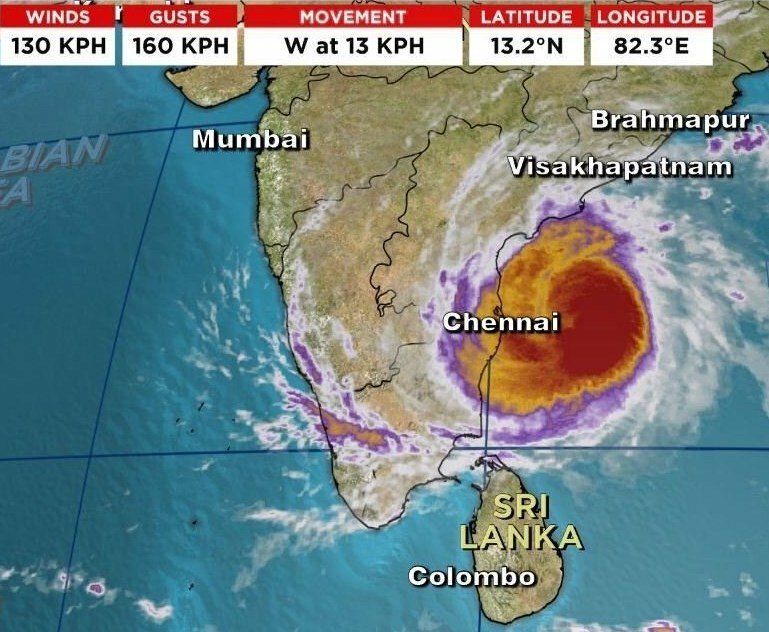 Image: Satellite image of the Vardah cyclone near Chennai. 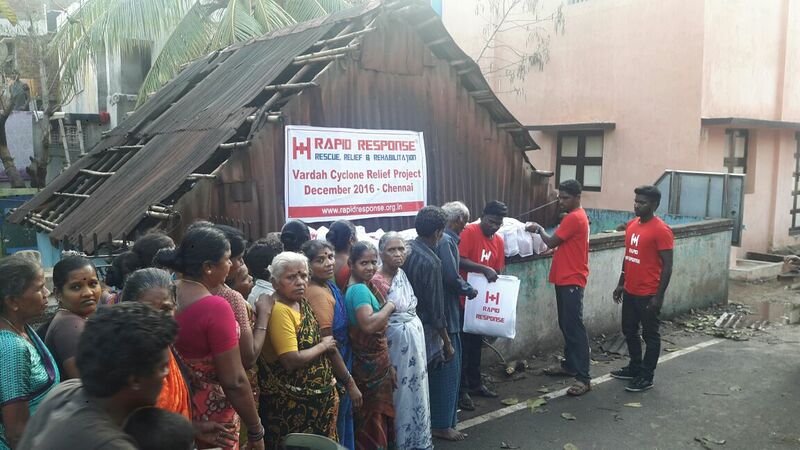 Image: We are currently working on providing food and nutritional relief kits to people effected by Vardah cyclone in the districts of Tiruvallur and in the city of Chennai. Through this campaign we are looking to raise INR 5,00,000 to provide 10,000 Food packets and 2000 Nutrition packets (milk & biscuits) for children. 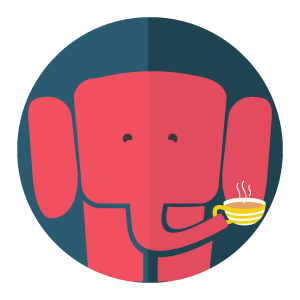 Disclaimer - The campaign goal of INR 5.4L also includes the campaign fee. 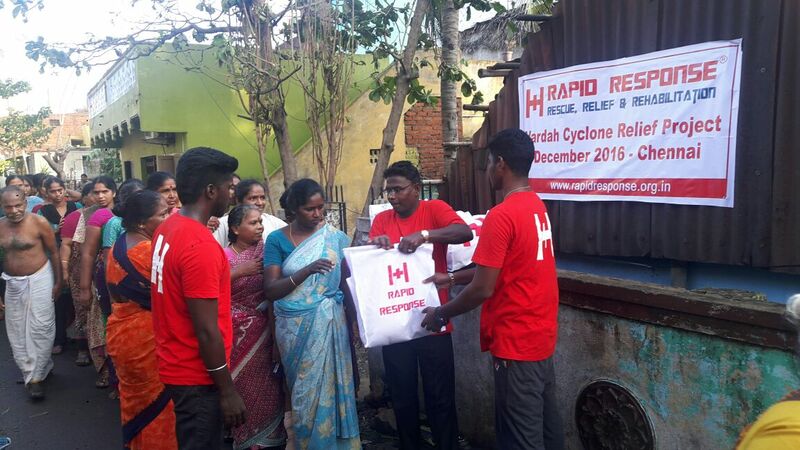 Rapid Response is a registered non-profit organization based in Chennai, Tamil Nadu, India. As a disaster relief agency, we help people survive and rebuild their lives through our food, medical care, shelter, education and livelihood programs. To provide immediate, effective and sustainable support for the victims of natural disasters. We envision a safer and disaster resilient India. Every year in India, millions of people were affected by natural disasters. These disasters leave people traumatised by the death of family and friends, their lives devastated by loss of livelihood. The impact is high and it has been increasing dramatically in the last few decades in terms of number of people affected and the length of time they are affected for. This trend is expected to keep rising in coming years. To deal with disasters, there is an urgent need of local institution, which can play a pro-active role in disaster management as well as raise the awareness level of people in disaster preparedness. This resulted in the establishment of Rapid Response, a registered Indian charity dedicated to inculcate a sense of preparedness among the communities and to minimize the loss of lives and livelihood during the disaster. Rapid Response, responds immediately to families affected by natural disasters with food aid, water and essential items. They also work towards rehabilitation of the affected families. Our emergency responses are timely, at appropriate scale and scope, providing high quality programs, efficiently, effectively, safely and securely for the most vulnerable people and their families. We also work to ensure that people are better prepared to cope with emergencies. Our aim is to increase the preparedness of people and their families for emergency situations in the aftermath of natural disasters through community based disaster preparedness (CBDP) programs. We aim to manage disasters better, minimise the impact of natural disasters to communities in disaster prone areas and build disaster resilient communities. After extensive research, we have developed a Disaster Preparedness and Response Strategy Manual (DPRSM), which guides all our employees while preparing for and responding to emergencies. 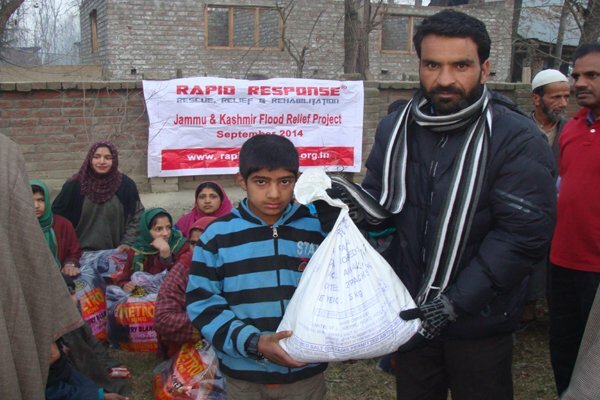 Image: Rapid Response officials distribution food packets to the casualties of the J&K floods. Thank you for your contribution. Your contribution will help us provide fishing kit for 1 fisherman. Thank you for your contribution. 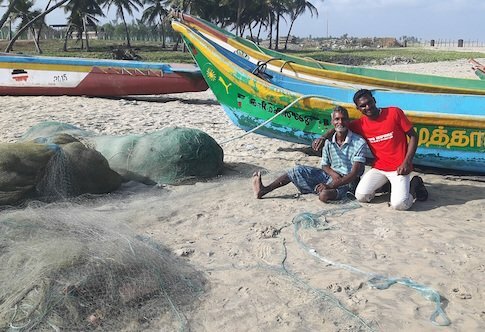 Your contribution will help us provide fishing kit for 2 fishermen.. Thank you for your contribution. Your contribution will help us provide fishing kit for 5 fishermen. Thank you for your contribution. Your contribution will help us provide fishing kit for 10 fishermen. Thank you for your contribution. Your contribution will help us provide fishing kit for 25 fishermen. Thank you for your contribution. Your contribution will help us provide fishing kit for 50 fishermen.